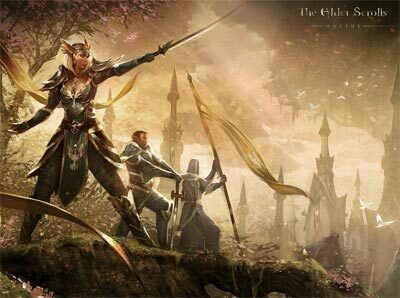 Thanks for visiting The Elder Scrolls Online Power Guide. Use the menu above to learn about PVP, PVE, Leveling, Gold, and more in ESO! If you are wanting to be the best ESO player you can be, then you've come to the right place. We have strategy guides and links to everything you need to know to make gold, power level, craft, enchant, PVP, and more! Want the best all-in-one strategy guide that you'll find online? Look no further than the Mastery Guides. We've added great information in the game Guides section, so head over there to get a jump on being a master of TESO! Added Murkmire Chronic Chronologer Achievement Guide. Added a Jewelry Crafting Guide. Find out how Jewelry Crafting works, how to get certified to complete writs, and more! The Treasure Maps and Locations guide now has Summerset Isle included! Updated Treasure Maps Guide to include Vvardenfell map locations. Added a new Shop to make it easy for you to find and purchase ESO merchandise! Added a Crafting Writ Survey Locations guide. Added a console controls guide. Say goodbye to subscription costs! The Elder Scrolls Online is going to be pay once as of March 17th, 2015. Also, TESO will be hitting consoles in June. Click here for more information. Added a search function to the website. Updated the Treasure Maps Guide to include the treasure map locations for Craglorn.